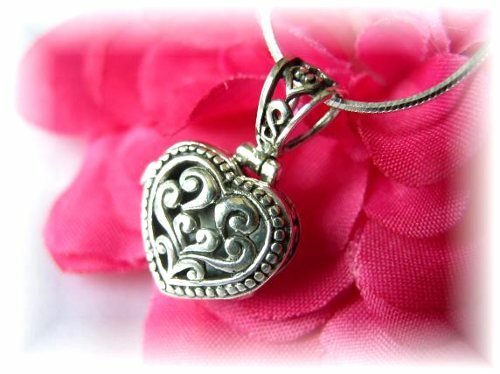 Sterling silver ornate heart shaped�design�prayer box / locket pendant on an 18" sterling chain. This unique necklace features an ornate heart shaped prayer box pendant with an beautiful scroll design. Hangs delicately from an 18" sterling silver chain with a spring-ring closure for a secure fit. 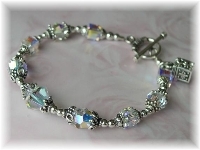 A beautiful accessory for any occasion! Pendant measures approximately 1".